A casual Mexican restaurant comes to downtown’s Cesar Chavez Plaza. You’d think by now Sacramento would have had its fill of tacos. But that didn’t stop the city from signing a lease with Ernesto Delgado to open a fast-casual Mexican restaurant in Cesar Chavez Plaza downtown. La Cosecha debuted this year on Cinco de Mayo, taking over a small, city-owned building on the park’s west side. Delgado, the owner of Tequila Museo Mayahuel on nearby K Street, hired a pair of restaurant veterans—chef Adam Pechal and bartender Chris Sinclair—to create the food and cocktail menus. La Cosecha isn’t strictly Mexican; Sacra-Mexican is more like it. 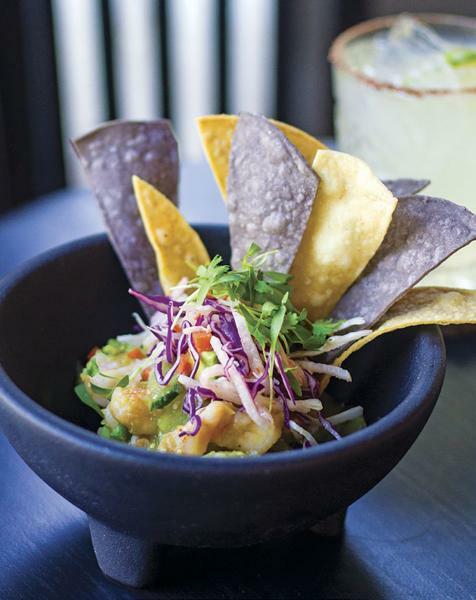 Pechal’s fusion menu marries Mexican cuisine with Sacramento ingredients. The emphasis is on fresh, seasonal and local. (La Cosecha is Spanish for “the harvest.”) On Wednesdays, Pechal ducks out of the restaurant and heads to the farmers market in the plaza for inspiration and a bit of shopping. A case of strawberries might end up in that week’s aqua fresca; sunburst squash will make an appearance in quesadillas and ceviche. If peaches are in season, they’ll wind up in the salsa. And when corn is at its peak, Pechal will add elote—grilled Mexican street corn—to the menu. Even the beans in the Mission-style burrito are local: heirloom Eye of the Goat beans from Elegant Beans in Lodi. Click Here to read entire article.